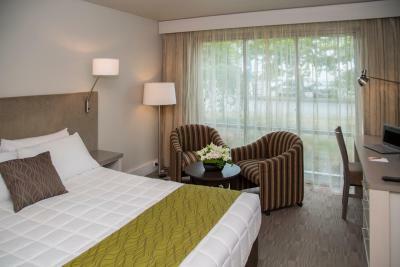 Lock in a great price for Sudima Hotel Christchurch Airport – rated 8.8 by recent guests! Perfect location for a really early morning flight and loved that there was a guest laundry room. There's a grocery store and some decent restaurants next door. And, if you have time, you can walk over to the Anarctic Center! The front desk staff is wonderful and they showed true customer service. Excellent location. Early flight out of CHC- shuttle on demand within 30seconds! 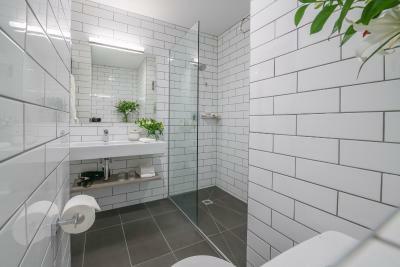 Well done- clean functional rooms. A great place for a stopover. Close to a selection of restaurants if you don’t want to eat in the hotel. The check in process was quick and easy and the staff were polite and friendly. 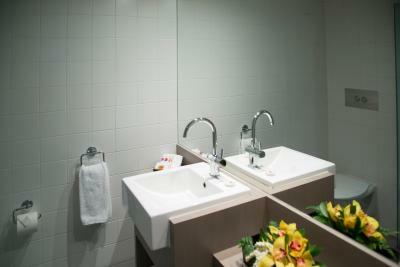 The bathrooms were well appointed. The room was clean and well presented. There was a free shuttle from the airport and to the car hire pick up location in the morning. Location was excellent for our early morning flight. We had a very early flight the following morning and the location of this Hotel was perfect. The staff were excellent. We had a problem with the television and a staff member came to our Room a few minutes after I had phoned up and rectified the problem. We were very satisfied with this Hotel. It is a great location next to the airport for early morning departures. Clean and modern. Next to Antarctica Centre. Very close to airport, nice restaurant and bar area. Bed soft and comfortable. The service from the hotel. Transport to the airport since we have to go to the airport @4pm. The room is so close to the places for eat and shop also. we were given a special deal card for our meals and the meals were absolutely beautiful, I cannot speak highly enough of this restaurant! the staff were fabulous, took the time to talk to us and meals were divine! I had the special cocktail and it was an award winning cocktail Lucky Apple it tasted like apple crumble. I think the meals should've been award winning to. 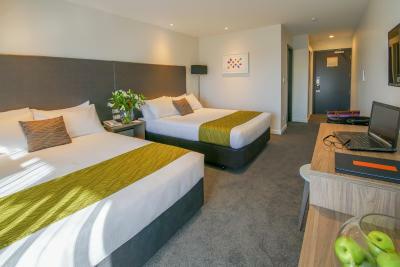 Sudima Hotel Christchurch Airport This rating is a reflection of how the property compares to the industry standard when it comes to price, facilities and services available. It's based on a self-evaluation by the property. Use this rating to help choose your stay! 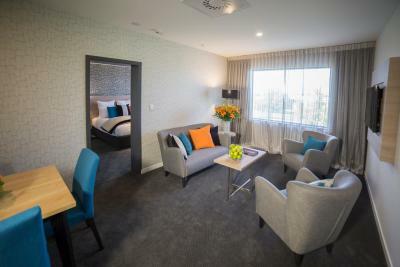 One of our top picks in Christchurch.Located just a 5-minute walk from Christchurch International Airport, the 4.5 star Sudima Hotel Christchurch Airport offers well-appointed accommodations with 1GB of WiFi for 24 hours. 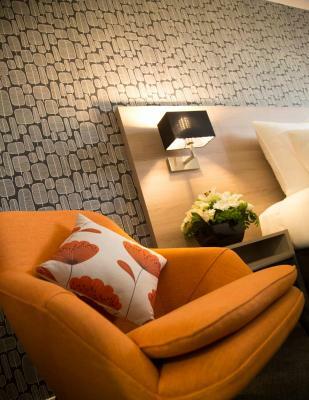 It features complimentary guest parking and a 24- hour front desk. 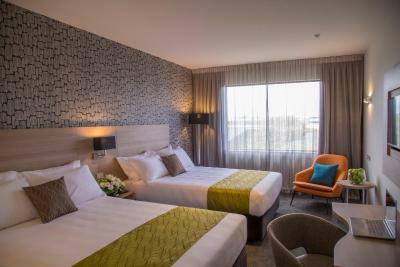 Each air-conditioned room at Sudima Hotel Christchurch Airport includes an LCD TV with satellite channels, tea and coffee-making facilities and 24-hour room service. 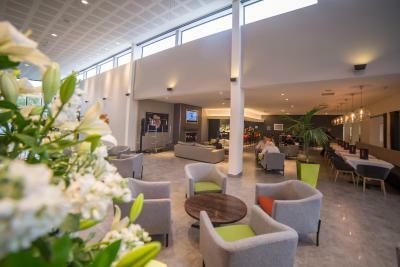 The hotel has had an extensive refurbishment and extension and features a new lobby and executive accommodations wing, upgraded Acheron Restaurant and Lobby Bar, fitness center, 2 superior accommodations wings and meeting rooms. 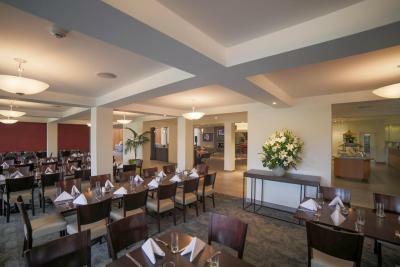 Guests can dine at the Acheron Restaurant featuring international cuisines and award-winning wines. 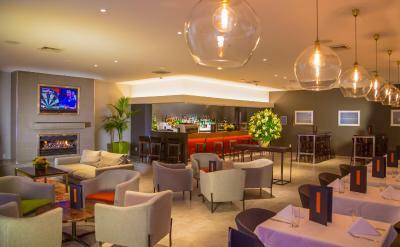 The Acheron Lounge Bar is the ideal space for pre-dinner drinks or relaxing by the fireplace. A buffet breakfast is available at the property. Children under 12 years of age are charged half price for the buffet breakfast, served in the restaurant. 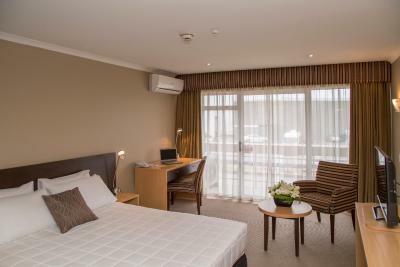 Sudima Hotel Christchurch Airport is located adjacent to the International Antarctic Center and Spitfire Square shops and restaurants. 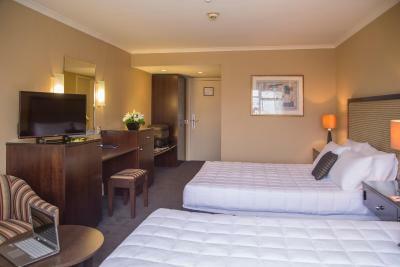 The hotel is a 20 minute drive from Christchurch City Center. 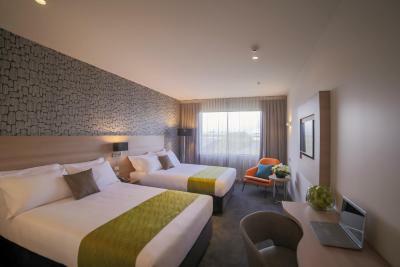 When would you like to stay at Sudima Hotel Christchurch Airport? 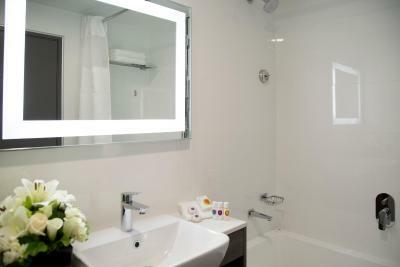 This stylish room features an private bathroom, air conditioning, double-glazed windows and black out curtains. 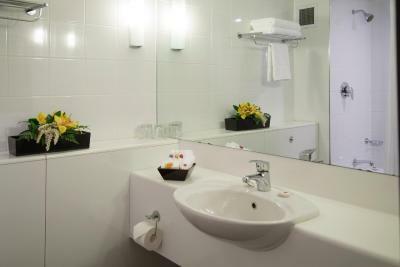 It also offers a work desk and a flat-screen TV with satellite channels. 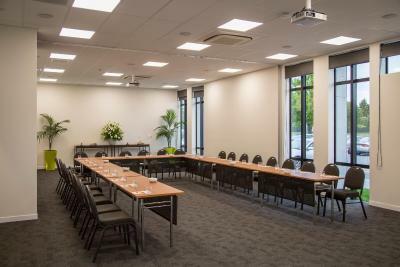 Extras include tea/coffee making facilities, ironing facilities and free WiFi access. 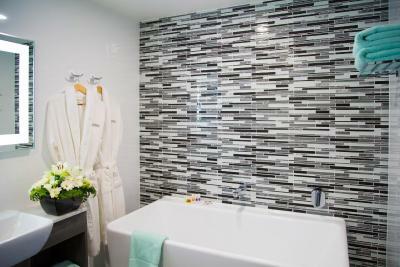 This stylish room features an private bathroom, air conditioning, double-glazed windows and black out curtains. 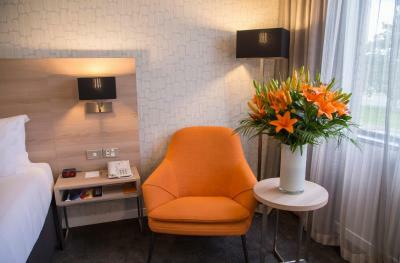 It also offers a work desk and a flat-screen TV with satellite channels. 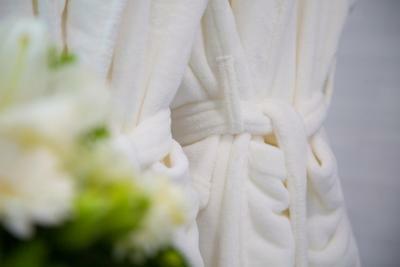 Extras include bottled water, bathrobe and slippers, cookies, tea/coffee making facilities, ironing facilities and free WiFi access. 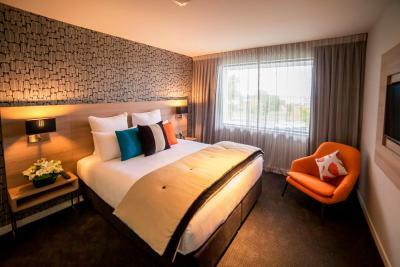 House Rules Sudima Hotel Christchurch Airport takes special requests – add in the next step! 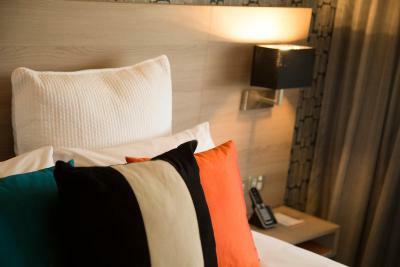 One older child or adult is charged NZD 30 per person per night in an extra bed. Sudima Hotel Christchurch Airport accepts these cards and reserves the right to temporarily hold an amount prior to arrival. The complimentary airport shuttle is available on a demand basis, 24 hours a day. International Arrivals – please use the free phone by the Visitor Information Desk, dial 27 for transfers. Domestic Arrivals – please use the free phone in the baggage claim area, dial 27 for transfers. Unlimited WiFi is available is at a charge of NZD 10. A little more choice at breakfast. Bed is comfy. The receptionists are very friendly. There’s a shuttle bus to drop off at the airport - great services! If you get a room far from the reception then you have a long walk to the room with all of your luggage. It is quite a big hotel. 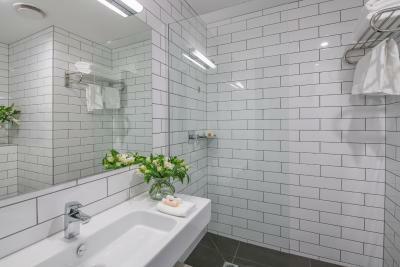 The bathroom could use a little freshening up, but that's really the only update that I would suggest. Food was good,location good,comfort good. 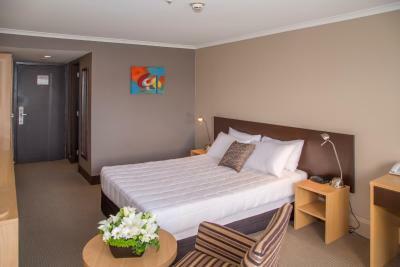 Service was great - this is a great place to stay close to the airport if you are arriving late or checking out early. Free shuttle to the airport and good service. 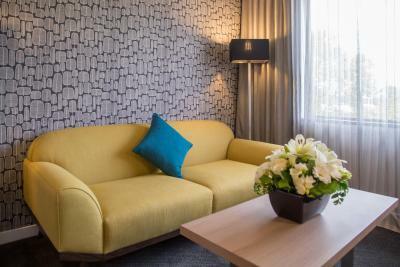 Close to Airport, free shuttle, good food and comfortable room. Beds are quite small for two adults.